Helen was walking through the slum one hot, sticky day when she stumbled on something unknown. As she quickly put her hand down to catch her fall, she landed amongst a dirty, plastic tarp covered in grime. But what she felt underneath sparked her interest. She fumbled upon something peculiar. Out of curiosity, Helen lifted up the tarp to find a tiny baby boy, his hands clenched tight and limbs contorted. He was barely a few years old, but his family was convinced his birth defects were a curse from the evil spirits. Out of fear, the baby’s family bound Sammy in the slum and covered him inside their hut. If anyone knew their family had been cursed, their entire family could be in danger. Without hesitation, Helen swept him up immediately and took him to the hospital to be examined. As one can imagine, Sammy was notably malnourished and on the verge of meeting death face to face. After much care and rehabilitation, Helen and her husband, Richard, carried Sammy to the nearby market. Though the mobs of people surrounding them whispered and glared, they entered the market with baby in tow. They bought him clothes and basic necessities, and with time, nursed him back to health. Nowadays, you will find Sammy in the Seeds (POI) Orphanage. He is a lively fellow with a story encompassed by the grace of God. 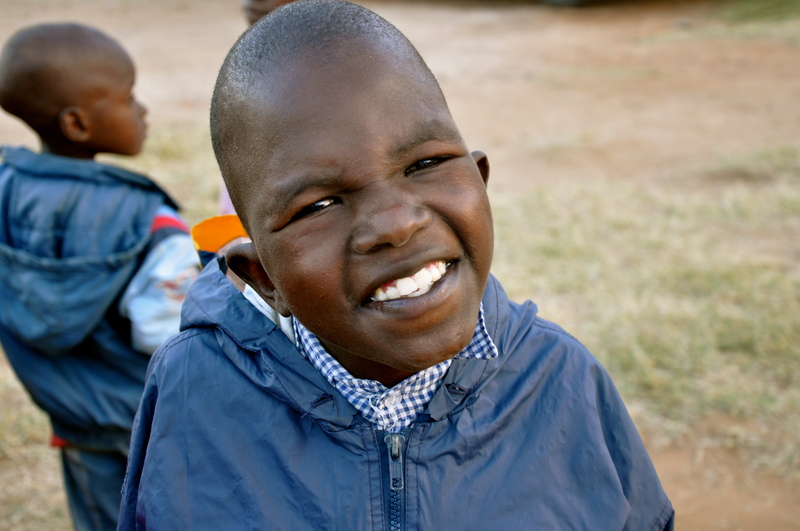 Since his rescue, he has undergone multiple surgeries for his special needs, but has come out each time with a fighting smile and a glimmer of hope. Because of Richard and Helen, and the Seeds (POI) Orphanage in Kitale, Kenya, two hundred and eighty-nine orphans have been rescued from the slums. Not only have these children been rescued, but the Seeds (POI) Feeding Station exists to offer medical care, hot meals, and education to over four hundred children from the Kitale area. I had the opportunity of living with Richard and Helen (directors of the Kitale POI orphanage/feeding station) for a week and the stories like Sammy’s were many. Every day they would tell me testimonies of children that had been rescued and redeemed by a faithful and all-sufficient Father. With each and every story, Richard and Helen, without hesitation, pointed to the One who deserved every utterance of glory. That being said, on behalf of the POI Seeds Ministry, we thank you. Thank you for giving what you have been blessed with to rescue a child from a lifestyle that no person should ever have to experience. Without you, the Sammy’s of this world will be forgotten—and I can’t imagine anything worse.